Rent a Party Boat in Amsterdam! Rederij Belle rents out classic saloon boats with equally classic atmosphere and appearance. These ships are ideal for hosting parties and special occasions on the water which deserve something more exclusive and extraordinary than the average party boats sailing the Amsterdam waters. groups of up to 65 people. Our ships are owned by us and have been restored by hand with the utmost care. For smaller groups of approximately 20 people, our ship Emma is ideal for an intimate sailing party. Larger groups of partygoers will be well suited by our saloon boats Belle van Zuylen, Adeline, or Dame van Amstel. Regardless of which boat you rent for your party, you will always be transported in style with service to match. Amsterdam has plenty of beautiful routes – and our captain knows them all. He also knows the most convenient and special places to come aboard. If you would like to combine your party boat in Amsterdam with an activity on shore, our staff is happy to help you create a beautiful route for a perfect day or evening on and off the water. 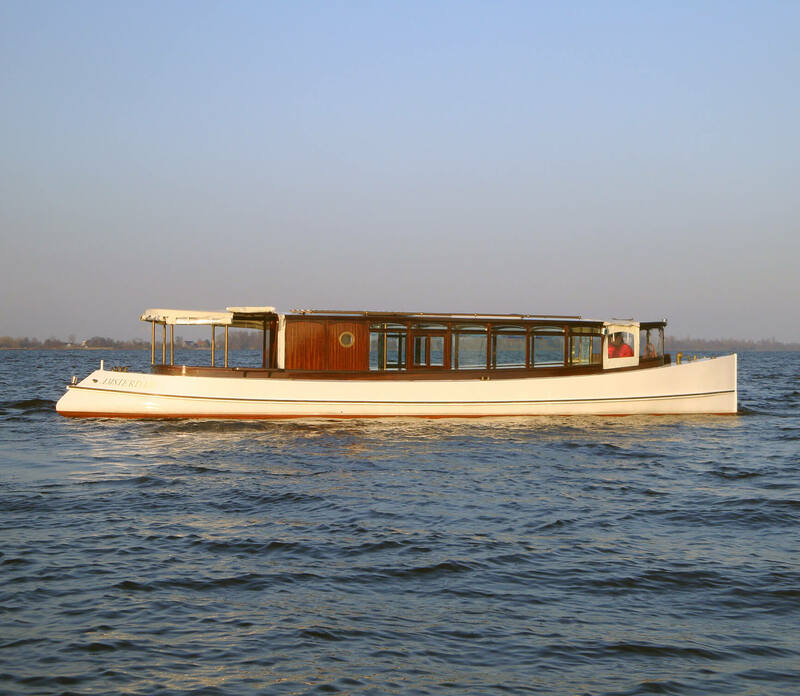 There are many reasons you may choose to rent a Rederij Belle luxury saloon boat. Perhaps you would like a special fete for your wedding or anniversary. Or maybe your company or organization has reason to celebrate or you wish to thank your employees. Whatever the event, you are welcome to host your next party on one of our private boats. We offer numerous packages and catering options which are fully customizable to create the perfect party for you, your guests and your special occasion! The cost of a Rederij Belle Amsterdam Party Boat depends on the number of people in your group and the duration of your trip. As an example: sailing for three hours with 50 people will cost approximately €60 per person.